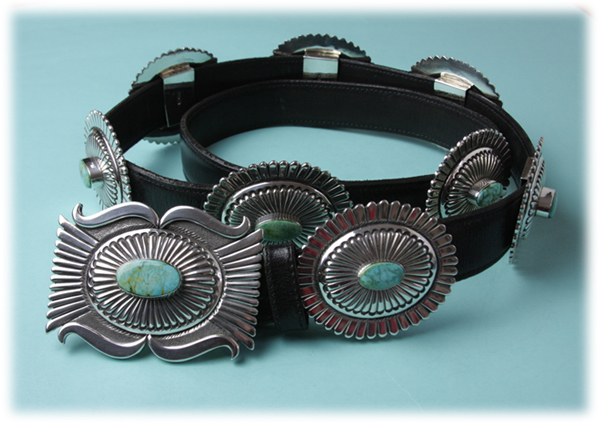 This stunning concho belt is a hand crafted creation of Navajo silversmith Thomas Jim. 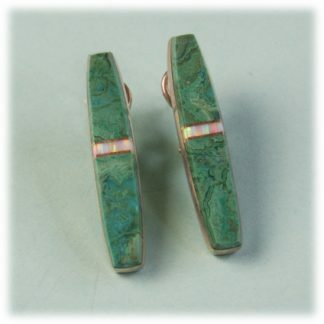 The conchos each feature a sunburst design with deep stamp and file work and Kingman Turquoise. The belt has eight conchos and one beautiful buckle. The length of the belt with the buckle measures 44″ and the conchos measure 2″ by 2 1/2″. 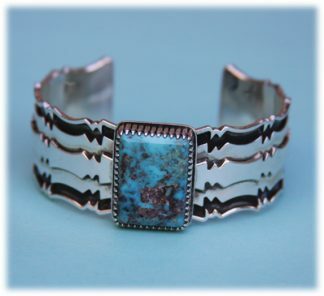 Thomas Jim is a famed Navajo silversmith. 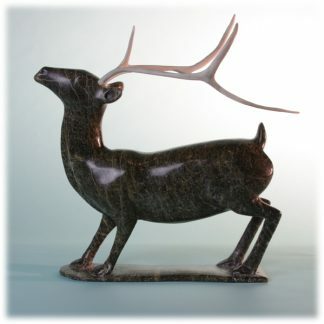 He picked up his knowledge of silversmithing from John Bedone, his uncle, and he became interested in high-grade stones, which he later included in his intricately detailed silverwork. 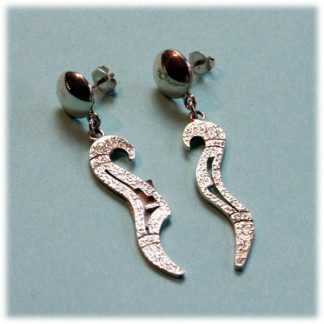 Thomas Jim’s creations are distinct for their traditional Navajo styles in silver, with dragonflies and crosses being some of his favorite themes. 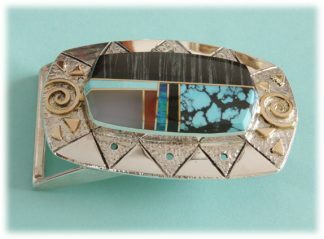 His creativity and timeless tribal sterling silver jewelry earned him awards like ‘best of jewelry’ at the Gallup Inter-Tribal Indian Ceremonial, and ‘best of show’ at Santa Fe Indian Market.